As a leader, you are responsible for the path that your team or organization will take. And people will continuously rely on your abilities and decision-making skills to achieve the goals of the organization. But the decision-making styles of a leader shouldn't be confined in the workplace. Instead, the standard concept of how leaders make their decisions should be a part of your overall decision-making process in every aspect of life. Although decision-making as a leader may entail a wide array of components which can't be summarized into a few paragraphs, some basic attributes can be observed. The following attributes describe how good leaders formulate their decisions. Studying these attributes may help you learn the basic traits of a leader as a decision maker. Decisions Are Made Analytically: A good leader makes his or her decisions based on honest and thorough analytical process; nothing is left to chance or to what the horoscope says for the day. Analytical decision-making enables the leader to pinpoint weaknesses and to plan exit strategies in case the decision made doesn't work out as planned. The essence of analysis in a leader's decision-making process is the total bird's eye view it affords him or her regarding the situation at hand which will enable the leader to meet problems with solutions. 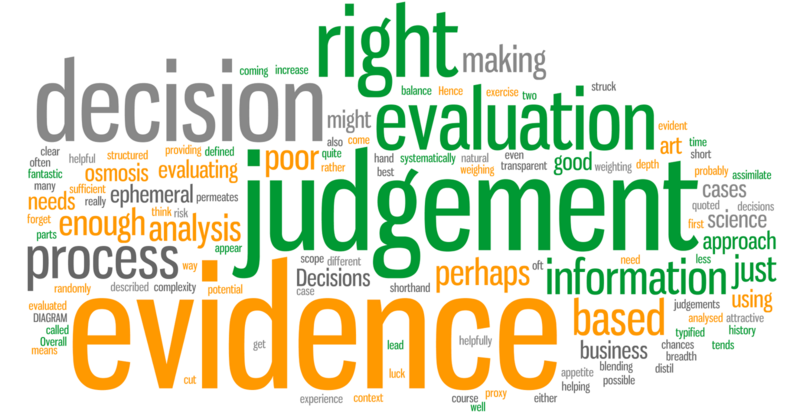 Conducting an analysis throughout the decision making process will enable the leader to make an informed judgment. While it is true that you can't know everything, doing an analysis about a predicament will, nevertheless, lessen the risks of failure. Overall, a leader knows the value of cutting losses or damages to a minimum. Decisions Are Made With Confidence: After conducting a diligent analysis, leaders make decisions with full confidence which shouldn't be mistaken as arrogance. As all possible scenarios are plotted and the decision made, all loopholes and what-if scenarios are plugged. The resulting confidence in the decision is also reflected among the followers. Simply because the leader knows what he or she is doing, there is no cause for worry or regret. A confident decision maker will stand by his or her decision whether the outcome is a success or a failure. Decisions Are Made For The Common Good: A good leader makes decisions for the benefit of most, if not all, of his or her followers. What is important for a good leader is the achievement of the objectives of the organization as a whole. This aspect differentiates a leader from a manager because while a leader focuses on what is right, a manager zeroes in only on what is correct. ST. JOHN’S – Plans are in progress to welcome speakers and entrepreneurs for the InspireUrBiz conference on March 8 and 9th at the CocoRose Reception Hall in Urlings, Antigua. According to organizer and host Vee Roberts of Insight2Marketing UK, the two-day event will provide attendees with access to presenters across a range of disciplines. “The event is being organised to empower locals and celebrate International Women’s Day with locals and business people attending from the UK, Caribbean and U.S.,” Roberts explained. Scheduled to present is local Business Growth Agent Sandra Baptist, Strategist Nerissa Golden and Life Coach Janis Hough. Subjects to be covered during the two-day event will include: Staying Focused on Your Goals, How to Grow Your Business, Adopting a Winning Mindset and Stepping Out of Your Comfort Zone. The engaging workshops include a range of subjects such as: colour therapy, wellbeing, branding, marketing, building a website, social media and more. “This is an excellent opportunity for goal setting and self-development,” the host said. Robert’s InspireUrBiz events have already won two awards from the Global Entrepreneurship Campaign (UK), and aims to empower and inspire people who may be stuck on a business idea or need clarity in their business/personal life. The conference is open to both men and women who are ready to grow their business or want to start one. 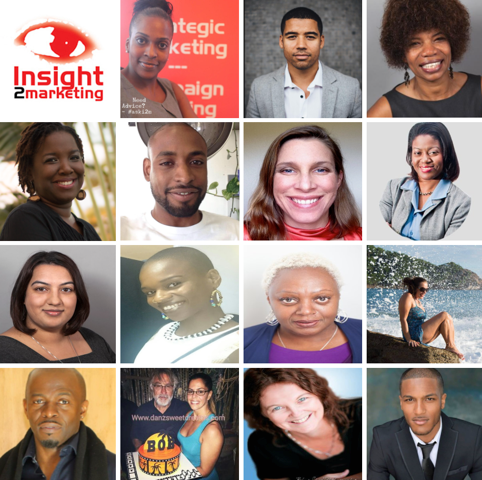 Caption: Photo spread of the speakers scheduled to be at InspireUrBiz Antigua from March 8 -9, 2016. Follow for updates on Instagram, Facebook and Twitter. There is so much to know about conversation that anyone, even I, could ever realize. 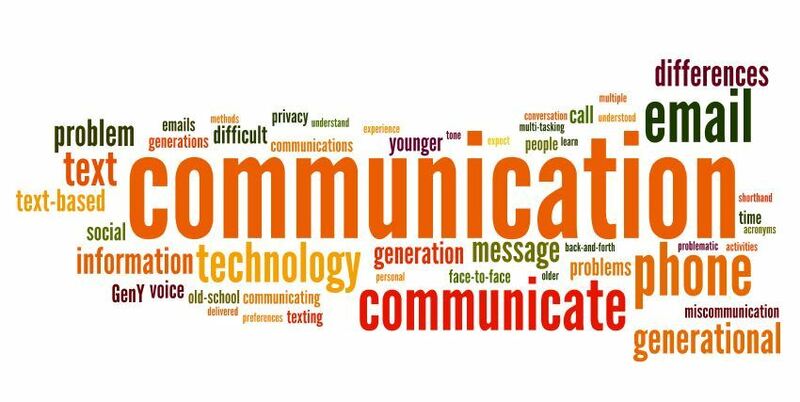 You can go though watching talk shows; radio programs; clubs dedicated to public speaking; ordinary conversations; certain rules still apply when it comes to interaction through words. It may sound tedious, I know, but even though it's your mouth that's doing the work, your brain works twice as hard to churn out a lot of things you know. So what better way to start learning to be an effective communication is to know the very person closest to you: yourself. 1. What you know. Education is all about learning the basics, but to be an effective speaker is to practice what you've learned. My stint as guest at every Toastmasters' meeting I go to taught me that we all have our limitations, but that doesn't mean we can't learn to keep up and share what we know. 2. Listening. It's just as important as asking questions. Sometimes listening to the sound of our own voice can teach us to be a little bit confident with ourselves and to say the things we believe in with conviction. 3. Humility. We all make mistakes and sometimes we tend to slur our words, stutter and probably mispronounce certain words even though we know what it means but rarely use it only to impress listeners. So in a group, don't be afraid to ask if you're saying the right word properly and if they're unsure about it then make a joke out of it. I promise you it will make everyone laugh and you can get away with it as well. 4. Eye Contact. There's a lot to say when it comes to directing your attention to your audience with an eye-catching gaze. It's important that you keep your focus when talking to a large group in a meeting or a gathering. 5. Kidding or Joking around. A little bit of humor can do wonders to lift the tension, or worse boredom when making your speech. That way, you'll get the attention of the majority of the crowd and they'll feel that you're just as approachable and as human to those who listen. 6. Be like the rest of them. Interaction is all about mingling with other people. You'll get a lot of ideas, feedbacks and suggestions from experienced professionals. 7. Me, Myself, and I. Admit it, there are times you sing to yourself in the shower. I know I do! Listening to the sound of your own voice while you practice your speech in front of a mirror can help correct the stress areas of your pitch. And while you're at it you can spruce up as well. 8. With a smile. A smile says it all much like eye contact. There's no point on grimacing or frowning in a meeting or a gathering, unless it's a wake. You can better express what you're saying when you smile. 9. A Role Model. There must be at least one or two people in your life you have listened to when they're at a public gathering or maybe at church. Sure they read their lines, but taking a mental note of how they emphasize what they say can help you once you take center stage. 10. Preparation. Make the best out of preparation rather than just scribbling notes and often in a hurried panic. Some people like to write things down on index cards, typed and printed material or from their personal tablet or smartphone. Just be comfortable with what you know since you enjoy your work. I've learned to empower myself when it comes to public or private speaking and it never hurts to be with people and to listen to how they make conversations and meetings far more enjoyable as well as educational. Purchase: "Unlock the Code" at the Best of Books Bookstore! 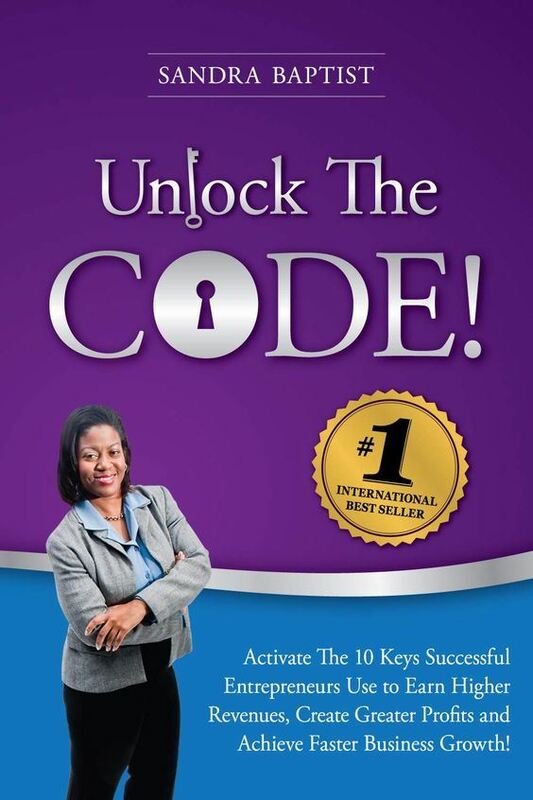 Sandra Baptist, FCCA has written the Book: Unlock the Code which is now a #1 Amazon International Best-Seller. This book is for entrepreneurs or CEOs who are looking to accelerate their success. With an overabundance of resources, both online and offline, many small business owners still remain stuck, frustrated and broke. Ms Baptist is of the belief that entrepreneurs today are more confused than ever. What has been missing in the past is a complete blueprint of the success Keys that entrepreneurs must focus on to grow their businesses. Ms. Baptist states: I have created "Unlock The Code" as that resource to support high-achieving entrepreneurs in growing a profitable business...fast. If you are struggling in your business this book will shed some light on what specific keys you need to activate to create the business of your dreams. The combination of the Keys create the Ultimate solution that YOU need to unlock the code to a fabulous business. You will be rewarded with higher income, faster growth and a business that supports your lifestyle. Pick up your hard copy of "Unlock the Code" which is now available for purchase at The Best of Books Bookstore, Antigua, located on St Mary's Street, St John's, Antigua. There are no hard and fast rules about what tools you must own, if you are going to embark on a mission to improve your time management skills in your everyday business activities. The following simple tools, however, are inexpensive, and can help make the process of tracking, planning and organizing your time easier and less burdensome. (1) Time Monitor Journal- This resource comes in both the digital and traditional varieties. It is useful in helping you to monitor and record your own use of time, in order to identify key areas for change. While a special journal is not needed, you may find that a ready made one saves you time in the long run, by doing the majority of the work for you prior to the actual recording of your activities. (2) Planner- Available in digital and traditional formats, planners are wonderful for recording goals, making notes, keeping track of appointments and more. A planner is a must have to help you stay organized and on target, when working toward your goals. Select a planner that allows you enough room to keep track of a number of appointments and daily goals, but that is small enough so that you are able to carry it with you at all times. (3) Organizer- These can be useful for planning a specific project, or managing a number of projects all at the same time. Digital and traditional versions of project organizers are available that can help you stay on top of the job. Overall, controlling your time management could have surprising benefits by getting more done, feeling less stressed and having more energy at the end of the day! People are willing to pay for online content. In fact, the "Online Publishers Association" said that pay-for content is emerging as a hot revenue model. Business content, personals/match making, and entertainment are the hottest niches. But even smaller niches, like DVD authoring, sports coaching, marketing services, and dieting are producing profits. You can sell subscriptions for online content with your own membership site. 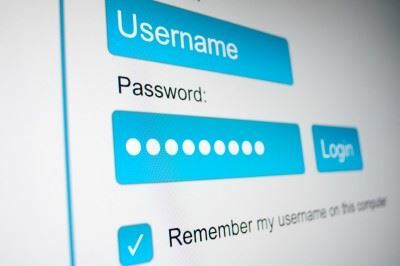 Selling online content by way of a password protected website has become big business. Not only is it fast to set up, but the start-up and running costs are minimal. Work from home entrepreneurs and big businesses alike are tapping into this new-found revenue source. The Association teaches you how to start and set up your own membership site within an hour. Have you joined yet? Visit our Membership page and select the membership for your needs! The Antigua Barbuda Association of Small Business Owners (ABASBO) is the only membership organisation in the country dedicated to helping small and medium-sized entities manage and grow profitable, sustainable businesses. We provide business training and support for real business growth. to stimulate the economy which is somewhat sluggish at the moment. The Antigua Barbuda Association of Small Business Owners is encouraging everyone to go out and participate in this initiative over the weekend and most importantly support a small business owner. The Relief will also encourage healthy competition amongst businesses and will give the consumer a wider choice of goods from which to choose. ABASBO supports the ABST Relief period. Building your business can be a difficult task. You can put hundreds of hours of effort into the business, but if you still don’t have important components, you will not be successful. Today business owners are realizing that blogging boosts business. Blogs are typically only seen as personal places to express yourself and your views. The truth is however the blogs are also great places to reach people about your business or your products. There are several ways to do this type of blogging. The best way a business can use blogging to boost their business is by taking part in the blogs of others. You can easily create quality posts with your business in mind without needing to set up a blog of your own. Try finding blogs that pertain to the area of business you are in. This will help you get started. With millions of blogs out there, you should be able to find some with no problem. Choose to post on all of them, or choose the few that get the most activity. Then begin posting. When you do, you will see positive results come in. If you are still curious about how this can boost your business, check out these three reasons blogging boosts business. The fastest way to get your business’s name out in the public is to make it known to your targeted marketing group. If you want to get your company’s name out to men who like fishing, then you can find a blog that is about just that. When you find the blogs pertaining to this marketing group, post useful and intelligent information about topics that pertain to your company. You might not want to sound like an advertisement. Think about responding to another comment and simply tagging your signature with your company’s website. This is a subtle way to get their attention. The more you post on blogs, the more widely known your company’s name will become with the select marketing group. When they tell their friends and family about the site then your consumer group will have grown even more. This is a fast way to get started. You will have to invest some time however. At least an hour a day can be used for this type of task. Your company might even think about hiring professionals to blog for your company. You can offer these employees products to try and give them the task of finding blogs where they can appropriately “praise” the product. By paying these people to do the task, you will be getting the work done that you need without having to devote much time. Consumer testimonials go a long way with other consumers. If these bloggers are productive enough, you will see an increase due to it. As you can see, blogging can be a great way to do business. It may seem like tricky advertising, and it is in some ways. However, it is free advertising that does the same thing as a commercial on television does. It reaches a targeted marketing group and lets them know your company’s name, products, and sometimes offers an endorsement. Overall, it is an effective way to get your business out there. When people have no idea who you are, they are not going to feel comfortable working with you. The better your reputation is, the more likely they will trust you. When you have no reputation at all, they will not trust you. So, even if you just want to use blogging to build your company’s reputation, it will be worth your while. Give it a try and see what type of results you can get using these tips. As a small business owner, you should be publishing an electronic newsletter (or ezine). On the Internet, it is very possible to make money without selling any product or if you have a business, it is extremely possible that every time you send out your ezine, you'll be contacted for more business!! One way of doing so is through starting your own eZine, also known as an electronic newsletter. When choosing a topic to publish your eZine on, you must consider some important success factors that can determine the flow and goal of your eZine. The ezine should be, of course, be related to your business and your niche. If you have more than one niche, it's a good idea to separate your prospects and clients. For example, corporate versus entepreneurship. If you presently have no business, relationships and dating are niches that have been on Earth long before the World Wide Web came up, for example. The food niche will always be there as long as there are chefs cooking for anyone with a stomach to fill. Having said that, you also want to have a steady stream of products or services of your own or an affiliate for you can endorse to your mailing list and make even more money. This is also the reason why the Internet Marketing niche will remain one of the hottest niches there is, as products and services are created almost around the clock. As long as there Internet Businesses cropping out, there will always be needs to be fulfilled. Have you started an ezine for your customers and prospects? We'll be doing a workshop on this topic so watch this space! 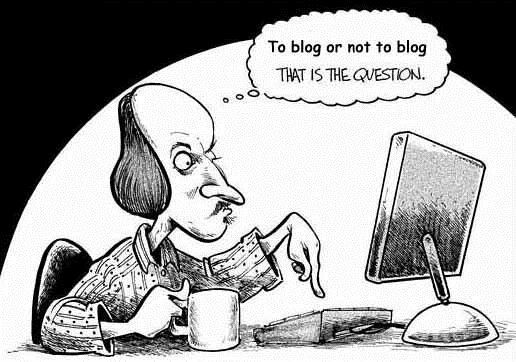 Blogging For Your Business? 7 Reasons you need a blog. If you are not blogging for your business then you should be. While many people simply dismiss blogging because of its description as a web diary they are missing a lot of traffic and revenue generating opportunities every day. In truth blogs are much more than a simple web diary. They are actually a content management system and/or an easy web site template. Blogging software allows you to begin posting your content to the Internet in minutes and when you harness that ability with an RSS feed you have a powerful traffic magnet. We have come up with 7 reasons why every business should have a blog and RSS feed. 1. Publishing a regularly updated blog helps you keep in touch with your existing audience and/or customer base. You can publish updates, news, or thoughts in your blog as well as answer questions. 2. 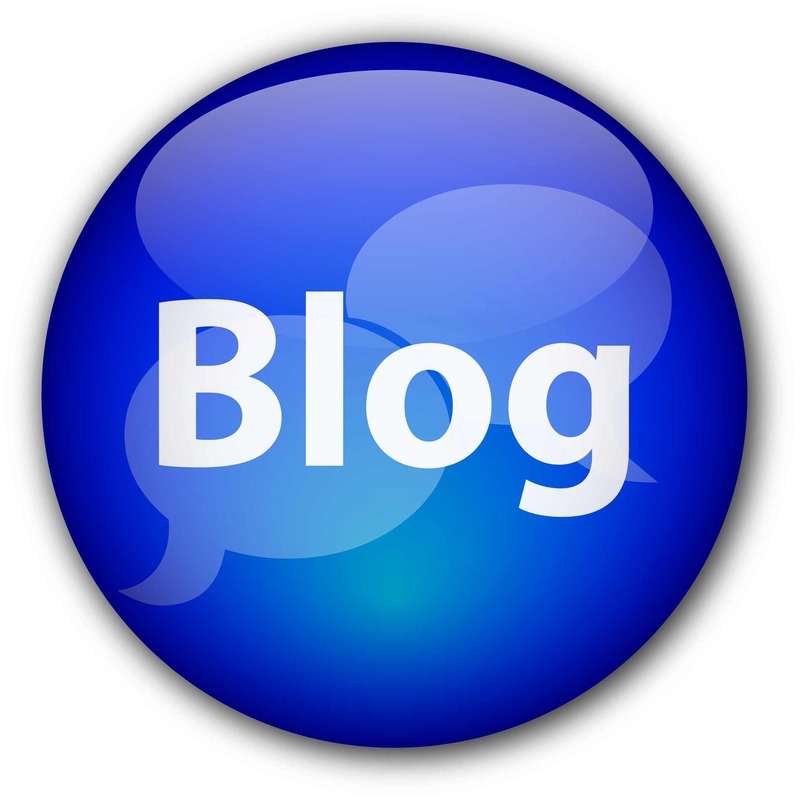 A blog can help you attract new customers. Your blog entries (posts or articles) will become fodder for the search engines and will attract new visitors. If your blog answers the visitors question or attracts their interest you have just found another qualified lead. 3. Blogs and RSS feeds often rank higher in search engines than traditional web sites. Search engines love blogs and RSS feeds. If you design your blog properly then every time you update it the search engines are notified. Even if you don't regularly ping most search engines will revisit blogs more frequently. Plus the very organization of a blog lends itself to spidering and good search engine ranking. 5. Blogs and RSS feeds are good revenue streams. You can add pay-per-click ads, affiliate ads, or sell ad space on your blogs. In fact, many PPC companies also provide the ability to add PPC to your RSS feeds. 6. Blogs are great ways to generate leads. Even if you don't want to put any advertising on your blog you can use it to promote or capture leads for your own programs. 7. Creating your own blog is the easiest way to establish a presence on the Internet and creating an RSS feed is even easier. In fact, it is also the cheapest way to get started on the Internet as there are a number of free blogging sites out there. I started out with http://blogger.com which is free. The blogging software that I now use is WordPress and also happens to be free. In fact, most web hosts now offer WordPress (or other free blogging software) as a free site add-on. Installing WordPress from scratch is quick and easy. Blogs created at Blogger have an RSS feed created for them and WordPress also creates feeds in several variations automatically. As you can see there are several benefits to starting your own blog and RSS feed, no matter what type of business you have. Why not begin using it for yourself? ABABSO Members have access to learn how to set up a business blog in just a few minutes. Not yet a member, learn more about the Association and join us today!